A major railway station in Tokyo, Japan, the Shinjuku Station is the busiest transport hub in the world. 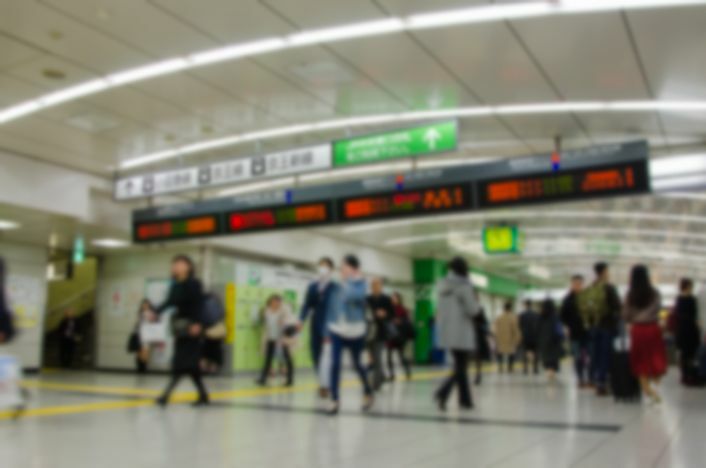 Days at Shinjuku station pass by in a busy blur. Large cities around the world have invested a lot of resources in the building and upgrading transport hubs for passengers’ convenience and organization within the city. A transport hub or interchange is where passengers and cargo are exchanged between different modes of transport. Transport hubs can include a train station, bus stops, ferry slips, and airports while freight hubs include airports, seaports, and terminals. Major transport hubs around the world are able to handle more than one million passengers and cargo per day. The busiest stations are designed with sufficient entry and exit points to allow for the smooth flow of traffic. Shinjuku Station has been acknowledged by the Guinness World Records as the busiest transport hub in the world. Where Is The Shinjuku Station Located? Shinjuku Station is a major railway station located in the wards of Shinjuku and Shibuya in Tokyo, Japan. It is the main connecting hub for rail traffic between Tokyo’s major wards and West Tokyo. The station had an average daily record of 3.64 million passengers in 2007 making it by far the busiest transport hub in the world, a record which was also acknowledged by the Guinness World Records. The station has 36 platforms which include both underground and above ground arcade, several hallways, and over 200 exits. An additional 17 platforms can be accessed through the hallway to five connected stations without surfacing outside. Shinjuku Station is served by several lines including JR East, Tokyo Metro, Toei Subway, and Odakyu Electric Railway. Shinjuku Station was officially opened in 1885 as a stop on the Akabane-Shinagawa line. Shinjuku was then a quiet community and had insignificant traffic. The traffic increased with the opening of the Chuo, Keio and Odakyu Lines in 1889, 1915, and 1923 respectively. The design for revamping the station was done in 1933 and included large public square which was completed in 1941. The design also included a plan to extend the Tokyu Tokyo Line to the new underground terminal. A major expansion of the JR terminal was completed in 2016. In 1967, a train carrying jet fuel bound for the US collided with a freight train on the Chuo Rapid track and caught fire. The station was also a major site for the student protests in 1968 and 1969 during the postwar civil unrest with over 200,000 marchers taking over the station on October 21, 1968, forcing trains to stop. There has also been an attempted terrorist attack on the station with the attempt taking place on May 5, 1995. Shinjuku Station is centered on facilities that service the East Japan Railway Company. The facilities include 8 ground level platforms connected by both overhead and underground concourses. The JR section handles about 1.5 million passengers per day. Odakyu Odawara Line is parallel to the JR East platforms. It handles about 500,000 passengers daily and stretches from southwest towards the coastal city of Adawara and mountains of Hakone. Keio Line is located west of Odakyu line just below the department store. It is made up of three platforms which stretch from north to south. Over 700,000 passengers use the section daily thus, making it the busiest section among the non-JR Group railways of Japan. The station has several stores and restaurants that are built directly into the station. A bus terminal on the west exit services the long-distance and the local buses.